There are many stages in each chapter of KOF98 UM OL, and each stage has multiple waves of enemies, each requiring a different tactic. 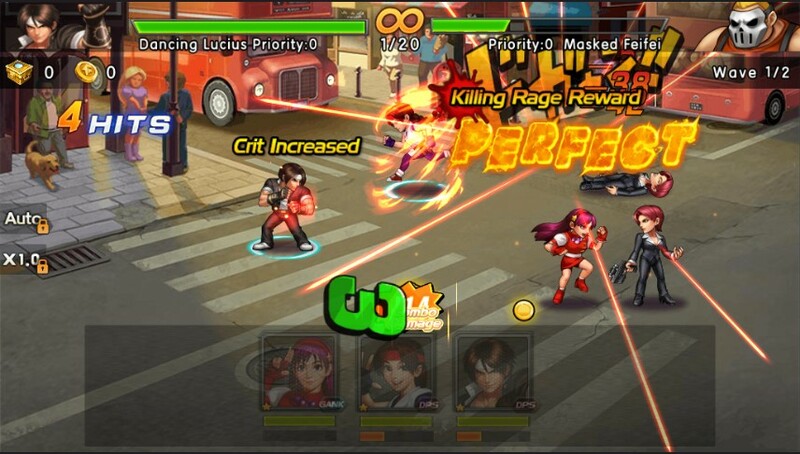 In order to let everyone re-experience the thrill of playing KOF in the arcade in their youth, we have incorporated as many of the things you love as possible into the KOF 98 UM OL phone version, awesome base attacks, combos, skilled attacks and ultimate skills attack. This is the most basic attack; you can use this by simply clicking on the enemy. Note: Don’t forget to upgrade the fighters’ skills; the passive skills can greatly affect a fighter’s basic attack. 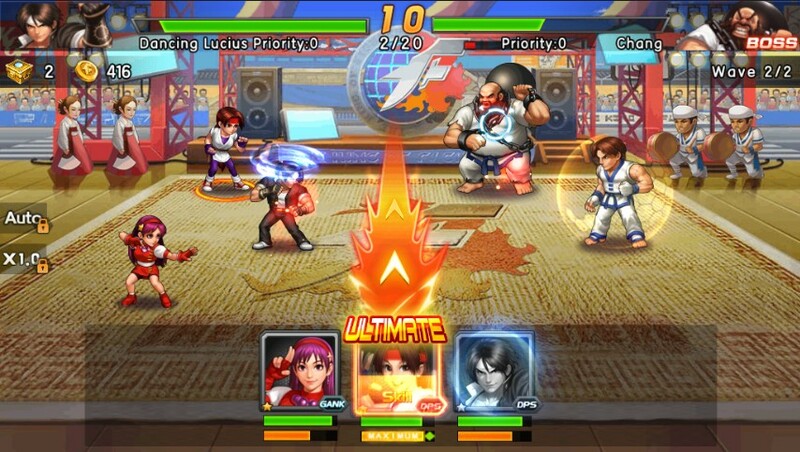 Attacking or receiving attacks from enemies will increase the fighter’s energy, of which the Ultimate skill attack can be used after the energy bar is completely full. Simply use it by sliding up on the respective fighter icon. 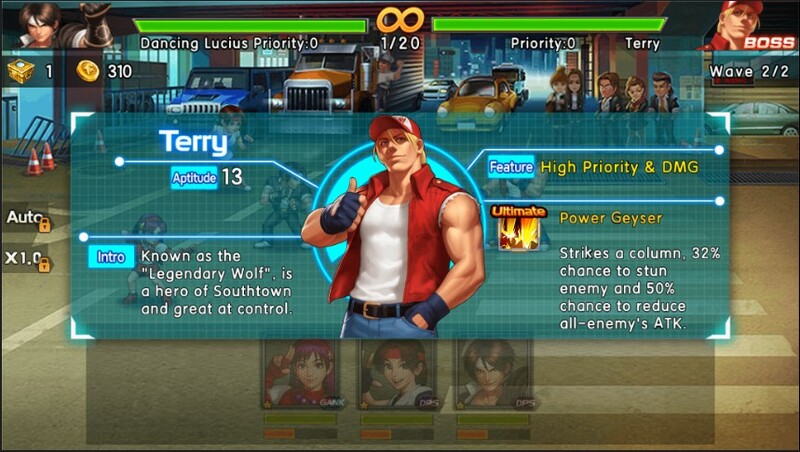 Note: The Ultimate skill attack is critical to winning battles; don’t forget to upgrade the fighters’ ultimate skills. After a basic attack, a large circle and a small circle will appear around the enemy fighter. The large circle will shrink rapidly, tap on the enemy again when the large and small circle is at its smallest, your next fighter will attack automatically with the added bonus combo damage. The closer the large circle is to the small circle at the point of clicking, the higher the combo damage. 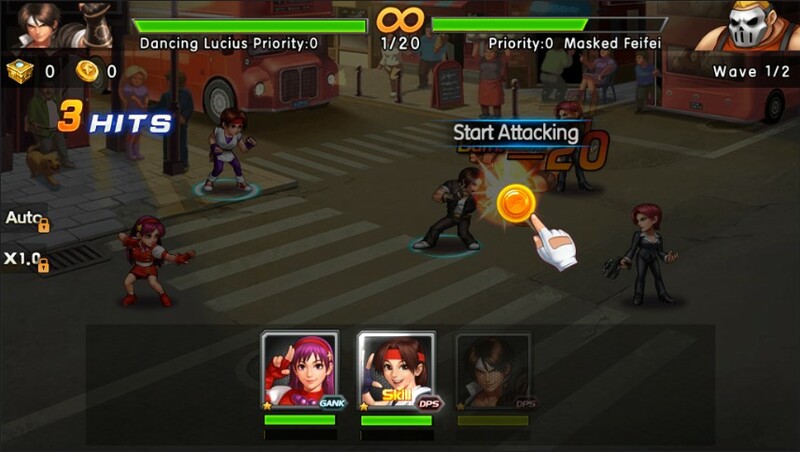 You will can tell how well you did depending on the combo displayed, which could be Perfect, Great, Good, Bad or Fail, if you do not tap again before the large circle completely disappears, at which point, you do not get any combo bonus. Note: You combos are accumulated for that attacking round, so the more Perfect combos you do, the higher the damage combo your last few fighters get.